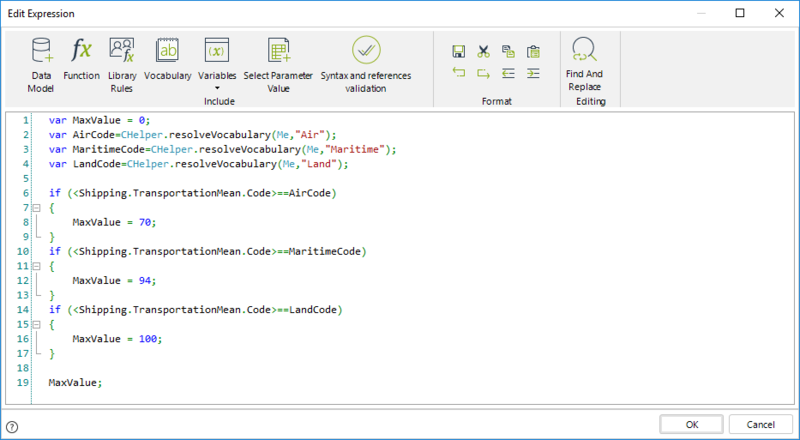 The following example illustrates how to set a maximum value for a control. Suppose a Transportation and Logistics company has defined a process called Shipping Process, to manage and monitor international shipments. 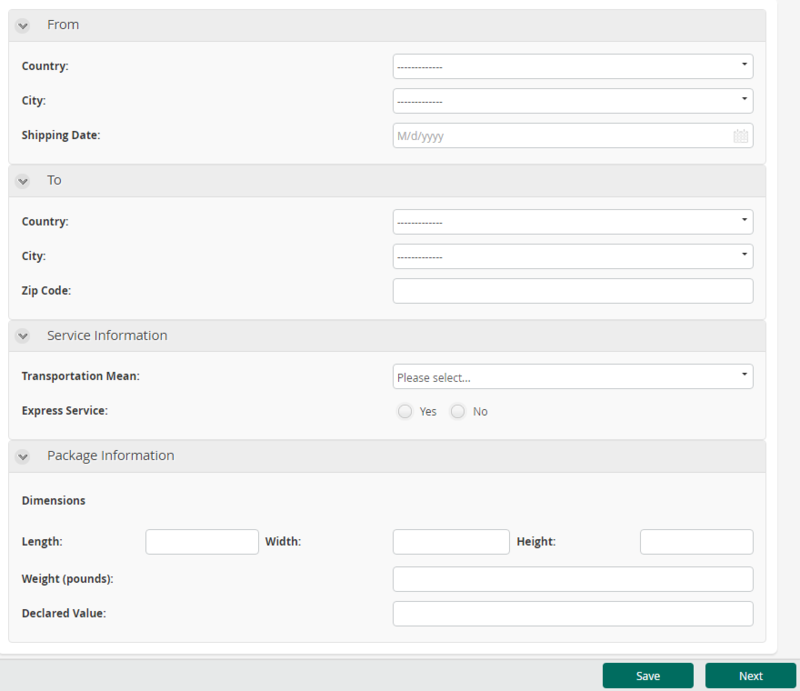 The first task of this Process allows the customers to enter the information and estimate the cost of the shipment. The company provides shipping services between Brazil, Ireland and United States. Transportation of goods can be by air, land, or sea. If the selected means of transport is air, an express service is offered for same-day shipping and delivery. The maximum dimensions a package can have varies according to the transportation means selected. The following table shows the maximum permissible height for each mode of transport. Use and expression to validate the condition. 1. 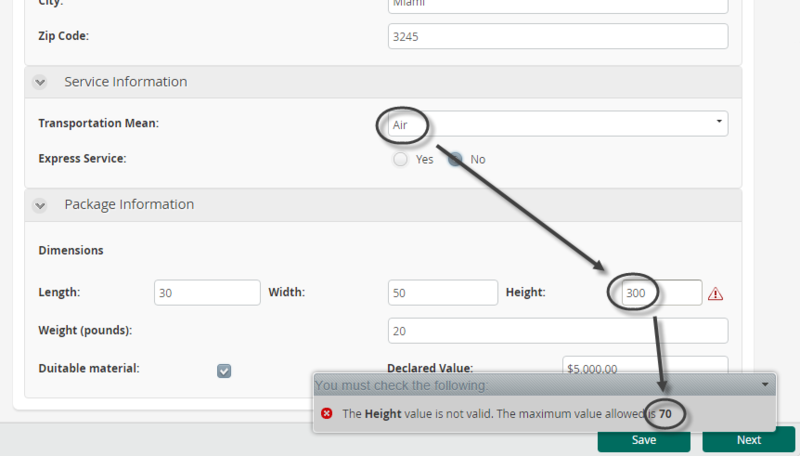 Select the Height control in the Form to display its Properties. 2. Locate the Maximum behavior in the Advanced properties tab. Click the Expression icon. 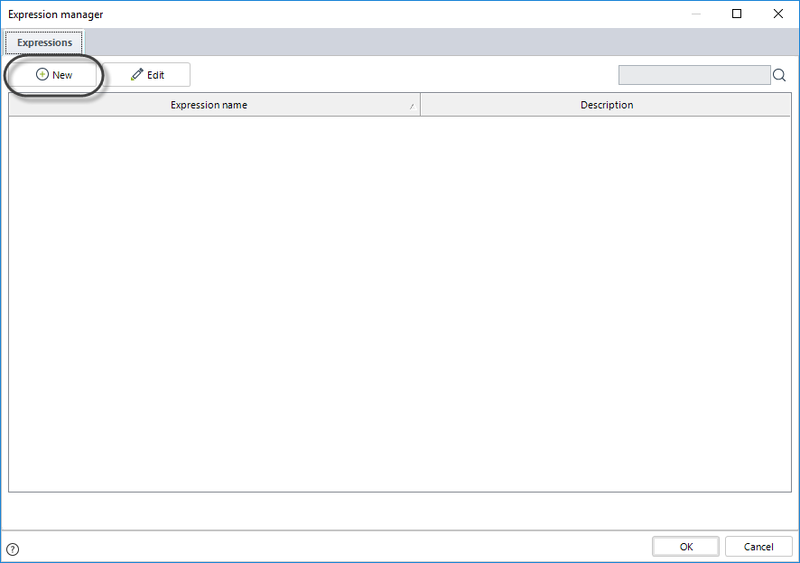 Click New to create a new expression. 3. 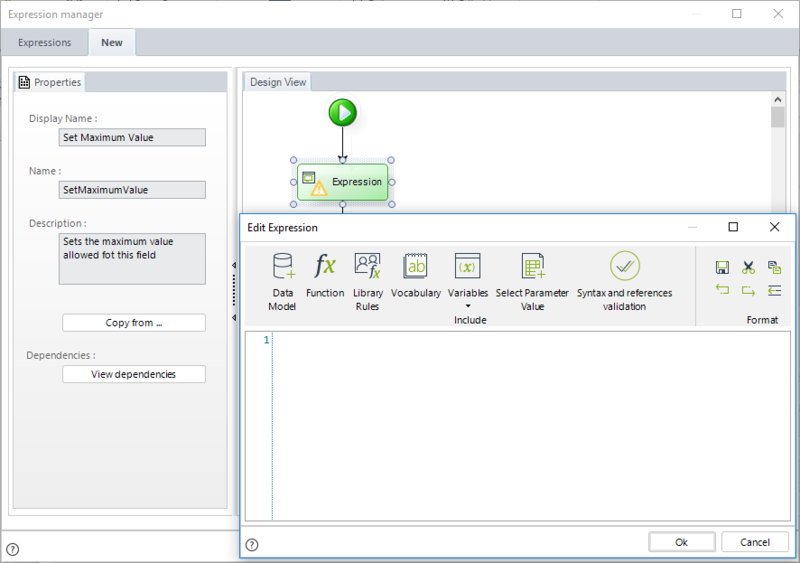 In the new window add an expression module. 4. This expression calls for certain Constant definitions to be previously defined in the vocabulary, by which to reference specified entities values. These definitions will contain the internal identifier, which is an attribute of the entity, of the transportation means. 6. Test the expression in the Work Portal. Bizagi will display a message if a value greater than the permissible height for the selected Transportation Means is entered. This validation message will be thrown once you click the Next button.